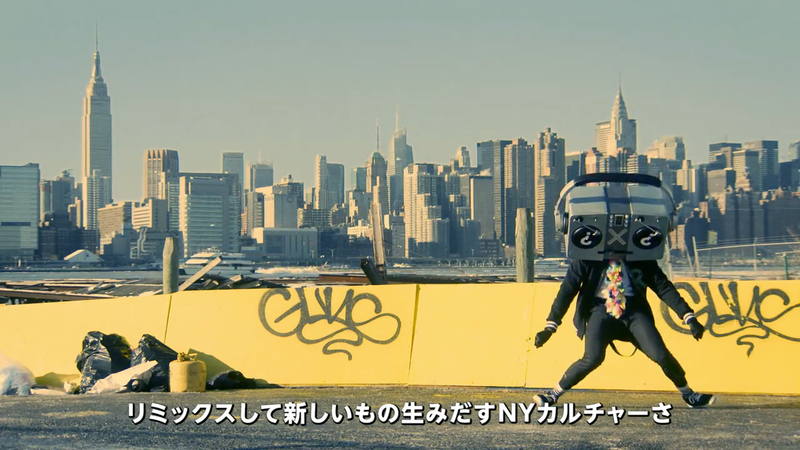 It's usually off-putting when inanimate objects have faces, but in this new Japanese Vitaminwater commercial, which features a person with a boom box for a head and spinning turntable eyes, that wasn't weird enough. Nope, they had to go all out for a new coconut-flavored drink, and it's one of the weirder (but not gross!) things I've seen. Apparently the new coconut flavor is Queens-born Vitaminwater's own New York remix.